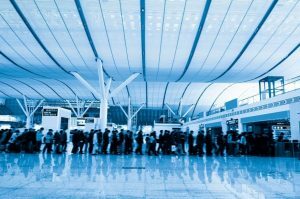 New York (United States) – March 28, 2019 (travelindex.com) – The World Travel & Tourism Council (WTTC) and the International Border Management & Technologies Association (IBMATA) announce a partnership to promote safe, secure and seamless travel across international borders making best use of new and emerging technology, while enhancing border security. WTTC represents the global private sector of Travel & Tourism, and IBMATA is a global non-profit organisation promoting communication and collaboration between border agencies and technology providers worldwide. WTTC’s Seamless Traveller Journey programme envisages a future where the traveller won’t need to provide the same information or passport multiple times. Instead, their experience will be seamless, faster and more enjoyable throughout their entire journey. Biometrics will work at every touchpoint of the journey to make travelling easier for the passenger while providing border services with greater security. IBMATA works with Border Agencies worldwide to help them facilitate the genuine movement of passengers swiftly and easily across international borders making best use of new and emerging technologies, without compromising border security and border control. Together, both organisations commit to making the best use of new and emerging technology and established border management principles with their respective members to deliver an improved international passenger experience globally across borders.